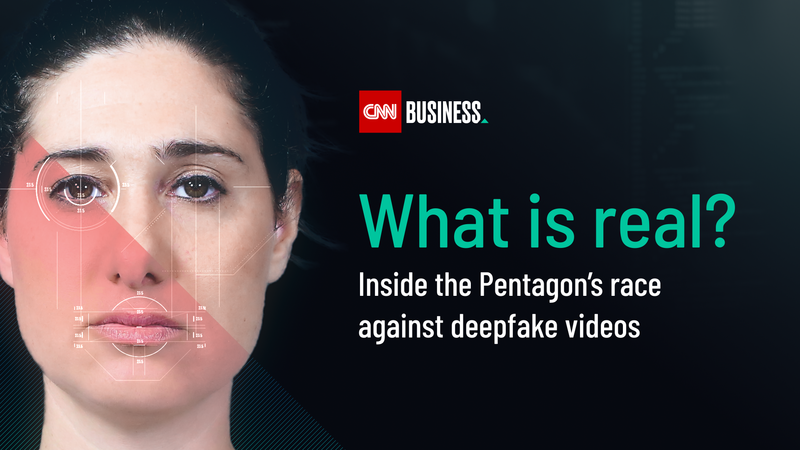 CNN Business launches a special interactive project, “Inside the Pentagon’s race against deepfake videos” exploring the rise of so-called “deepfake” videos that have accelerated the Pentagon’s scrutiny of the dangers such videos could pose. Deepfake video is hyper-realistic manipulated video made using artificial intelligence technology, making a person appear to say or do something they did not. It has the potential to take the war of disinformation to a whole new level. An increasing number of lawmakers are warning that a form of video manipulation, could be the next stage of information warfare ahead of the 2020 US Presidential election. CNN Digital producers and CNN Business reporter Donie O’Sullivan gained access to the program funded by The Department of Defense, through the Defense Advanced Research Projects Agency (DARPA) – the development and research arm of the Pentagon — that is in a race to stop deepfakes. Our special interactive experience includes education about what exactly deepfake videos are and the technology being developed to detect them, plus a quiz for our viewers. Explore how commissioned researchers across the United States are beginning to develop ways to detect when a video is a deepfake and learn how they will combat them.